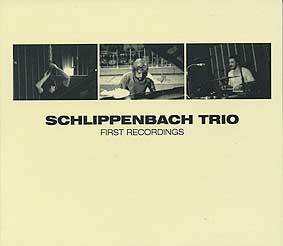 Alexander von Schlippenbach, piano; Evan Parker, soprano and tenor saxophone; Paul Lovens, drums. Recorded on 2 April 1972 during the Workshop Freie Musik, Academy of the Arts, Berlin. Design (front cover reproduced above) by Lasse Marhaug; photographs by Dagmar Gebers.